A Daughter Of An Ethiopian Hero And A Nephew Of The 1st African American Winner Of The Nobel Peace Price Honored Pan-African Veterans On Miazia 27 ( Cinco De Mayo ) In U.S. Capital City. 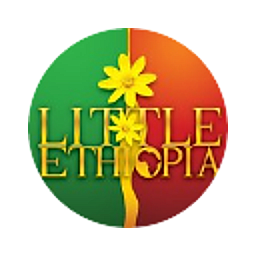 Washington D. C. ( Little Ethiopia )-The District of Columbia ( sister city of the Capital City of Ethiopia, Addis Ababa ) experienced the celebration of the commemoration of Miazia 27 ( Ethiopia’s Cinco De Mayo.) It was an historic day that marked the defeat of an European power that made a second attempt to colonize Ethiopia on “ Miazia 27 “ like it’s name sake “ Cinco De Mayo “ means May 5. It was also the day Emperor Haile Selassie I returned to his throne after 5 years of exile in England. The honorees to present a wreath for the occasion were Ethiopia’s Ms. Mulumebet Wolde and African America’s Mr. Stephen Davis. Ms Wolde is the President of the 1700 member organization of “ All For One Association “ and the daughter of an Ethiopian hero who fought in the Italo-Abyssinian War of 1935-41. Abyssinia is the ancient name for Ethiopia. Mr. Stephen Davis is a former staff attorney/Professor and the nephew of the 1st African American winner of the Nobel Peace Price in 1950. They both together placed a wreath infront of the African American Civil War Memorial accompanied by a distinguished past honoree Rick Lee.Their aide de camp were members of armed forces ( re-enactors ) from three nations, Ethiopia, United States and the Caribbeans. The 13th anniversary event by an Ethiopian group was held in Washingyon D.C. in a city that prides itself of welcoming the iconic Emperor of Ethiopia Haile Selassie I seven times from 1954 to 1973. While he was visiting DC he was presented the key to the city by the then commissioner in his 1st State visit. The historically black University of Howard also bestowed upon him an honorary Doctorate degree. The emperor gained prominence and reverence around the world after he made a prophetic statement at the League of Nations in 1936 “ It is us today and you are tomorrow “ when he did not get strong supporters from them. True to his statement within three years Europe started burning and the 2nd World War began. Selassie entered combat when his country was invaded by fascist Italy’s forces coming from Eritrea in the north and Somalia in the East. On 3 October, forces under General Emilio De Bono's command crossed into Ethiopia from Eritrea ( the North front ). On 6 October his forces took Adwa, officially avenging the humiliating 1896 Italian defeat, entered the historically significant city of Axum riding a white horse. The General who invaded Ethiopia from the east ( the East Front ) Rudolpho Graziani was promoted as the Viceroy of Ethiopia, Eritrea and Somalia and began his racial policy against a nation that never was colonized. An attempt was made to assassinate by bomb failed on February 19, 1937 and he ordered the massacre of over 30,000 innocent Ethiopians in retaliation. An African American author William Scotts of The Sons of Sheba’s Race: African Americans and the Italo-Ethiopian War, 1935-1941, which examined the role of African Americans in the U.S. Ethiopian defense and aid movement, and ways in which the Italian invasion of Ethiopia affected African American thought and behavior on the eve of World War II. The Africana Educational and Cultural activity promoted by Little Ethiopia D.C. uses the wreaths laying ceremonies to teach the young generation to learn their history and the sacrifice they ancestors paid to keep Ethiopia/Africa free from occupation by European imperialists. We like our readers to participate in the upcoming wreath Laying ceremonies in 2019. Happy Veterans Day from Little Ethiopia !!! A Memorial Celebration Held For Howard University Professor Whose Parents In 1935 Chose To Die With Ethiopians When It Was Invaded and Later Occupied By Italy.